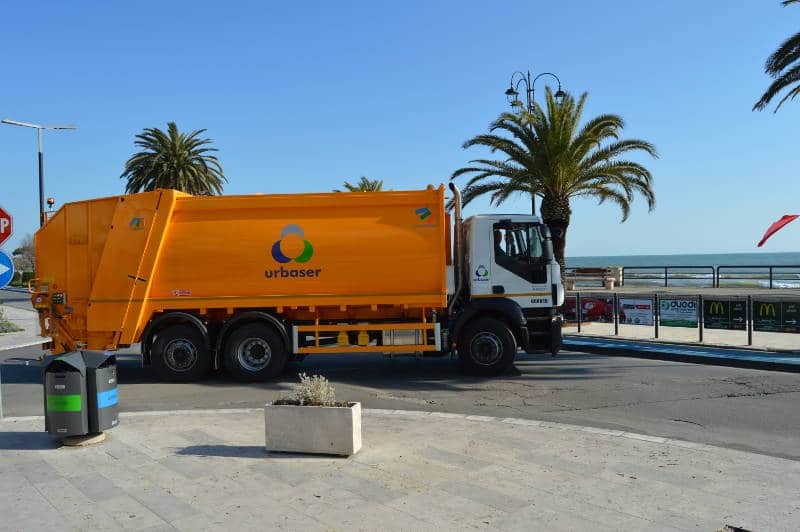 Urbaser is able to efficiently remove any type of urban or industrial waste, using all the systems available on the market (both surface and underground). Urbaser is a pioneer in the use of clean energy (gas, electricity) and in computerized systems to control services in real time. Every day, Urbaser puts into circulation a huge network of people, equipment and technologies for optimum collection of solid urban waste. Urban collection and cleaning vehicle fleet, Terracina, Italy. Urbaser works with all existing technologies and is constantly researching to develop new ones. Our R&D policy involves a constant search to provide service in a more efficient, more sustainable, smarter way. We innovate to continue improving people’s quality of life, putting at their service more than 25 years of experience in more than 20 countries, whether beneath the Eiffel Tower or in the middle of the desert in the Persian Gulf region, in Madrid’s Plaza Mayor or in the Plaza del Papagayo in Lanzarote. Inclusion of electric, hybrid and gas-powered vehicles in our fleet, with the consequent improvement of air quality and noise levels, or small vehicles better suited for working in historic city centres.